This post contains affiliate links to the Froothie website – if you click on the link and buy a product, I will receive a small commission, although it won’t cost you anything extra. 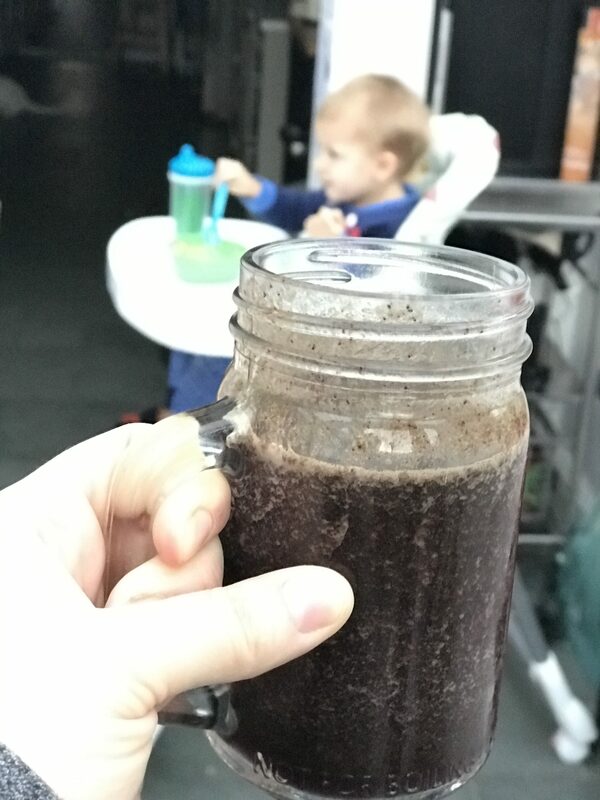 This healthy vegan breakfast smoothie tastes great, but there is no getting around it – it looks pretty disgusting. 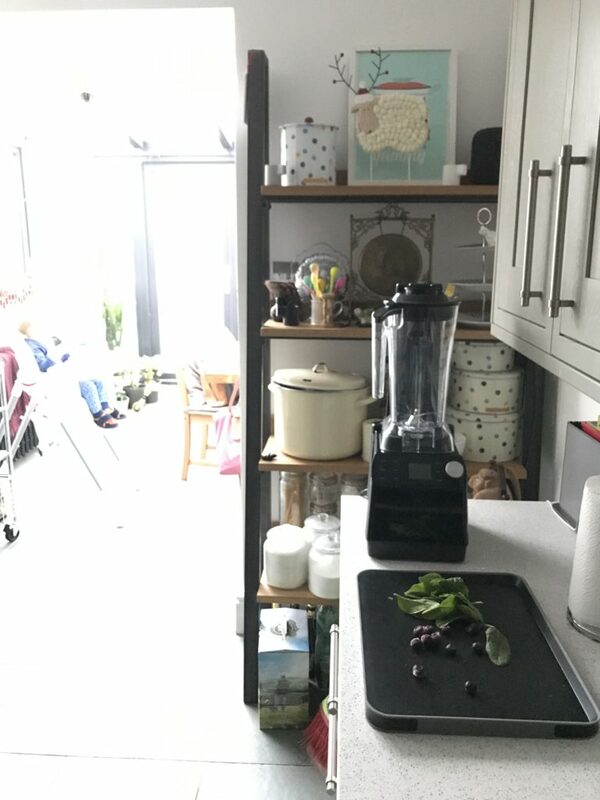 It’s full of things which are good for you, but when those things are combined in a high-power blender, they turn into something resembling mud. What can I say? Give it a go and enjoy the superior feeling of starting your day with a glass packed full of nutritional goodness, instead of a bowl of sugar cereal. Added bonus, a glass of this smoothie easily kept me going through until lunchtime. 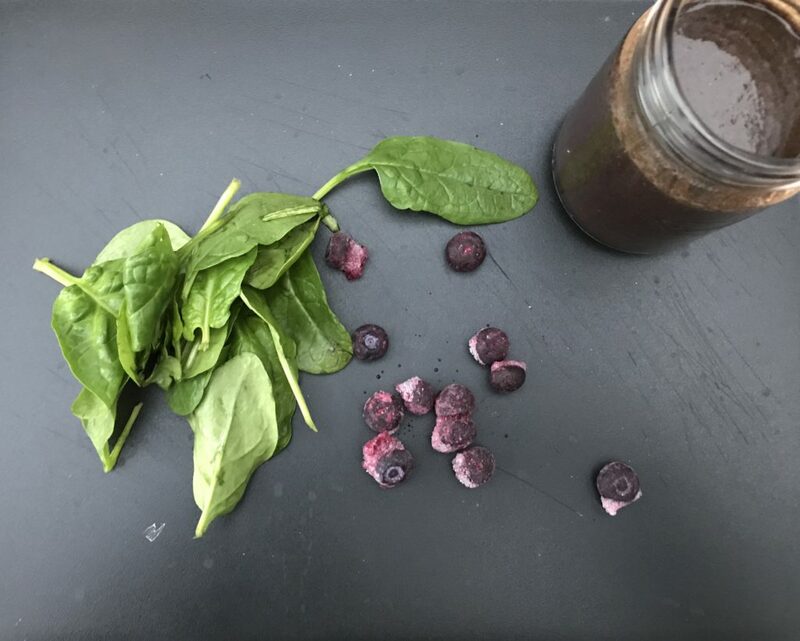 Coconut water, fresh spinach leaves and frozen blueberries: you just need to blitz these three together in a high powered blender (I use my Froothie Vac2 Air Vacuum blender which was gifted to me last year, and I have shamefully only just gotten around to writing about it). As you can imagine, throwing some liquid, leaves and berries straight from their packaging into a blender jug is really not going to eat into your morning schedule, but the vacuum seal with the Froothie Vac2 Air Vacuum blender means that the blended fruits and vegetables will not separate or change colour like it does immediately after blending using a traditional blender. 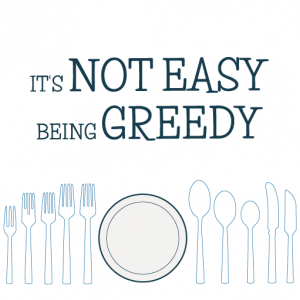 I haven’t tried this yet, but many of my fellow bloggers have put it to the test and you can see their results by clicking on the links at the bottom of this article. Fill your serving glasses 2/3 full with coconut water and pour that liquid into your blender jug. 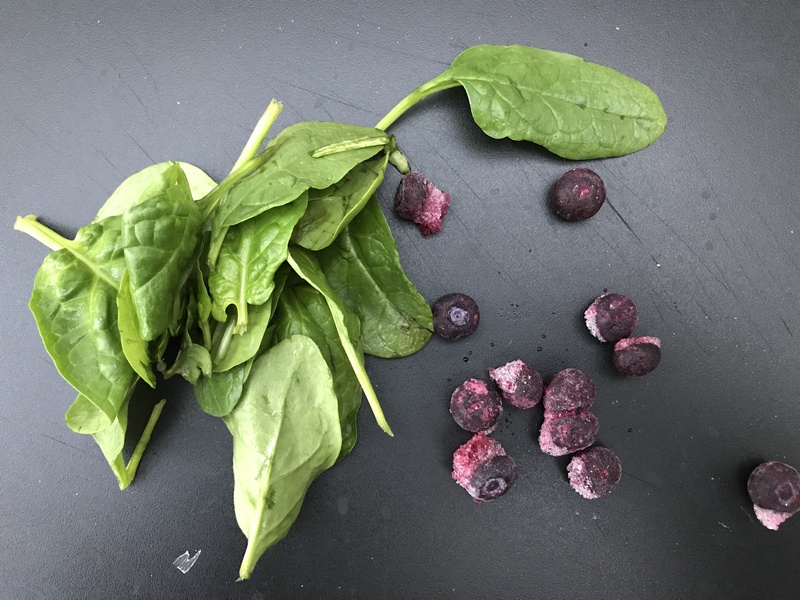 Add two handfuls of frozen blueberries, and two handfuls of fresh and washed spinach leaves. Blitz in your blender (there are pre-set options for the Froothie Vac2 Air Vacuum blender) for around 90 seconds, and serve immediately. 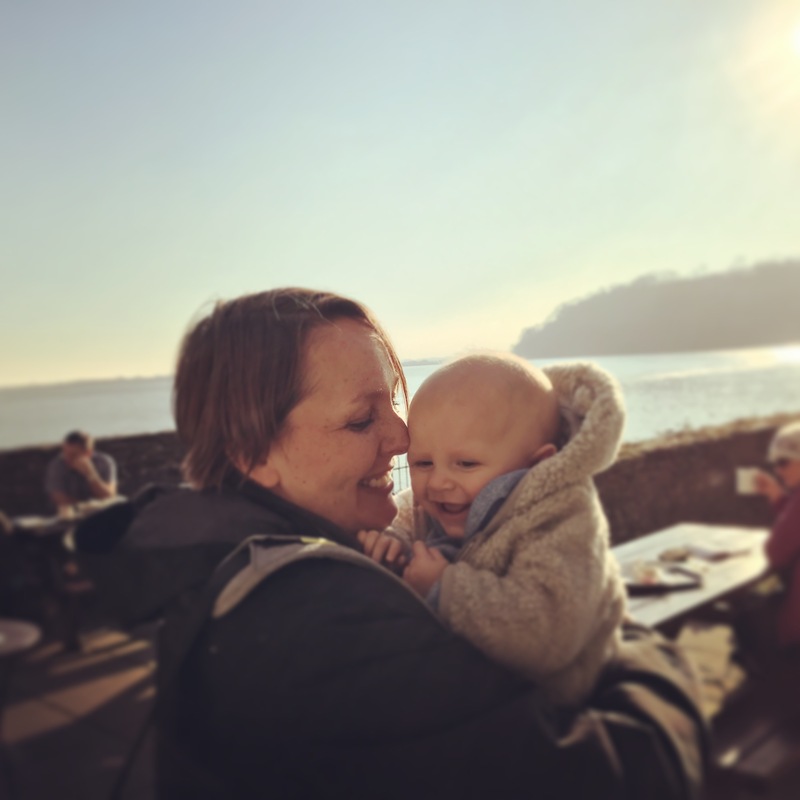 Andrew and I are massive fans of this smoothie, but we could not convince Ioan to give it a try, even though he loves the famous smoothie pouches! I think the colour put him off, although he was fascinated by the blending process (and noise). So quick and easy, and like I said, the noise is fascinating for little ears :). Froothie definitely make things simpler in the smoothie department too. Yes, there’s no denying it’s not the prettiest smoothie, but it really does taste good: so fresh and you can just tell once you drink it it’s doing good things inside you.